Experience a beautiful harbour city known for verdant volcanic cones, creative cuisine and awesome outdoor adventures. New Zealand's largest urban environment, Auckland is home to 1.5 million people who bring a rich diversity to the region's food, arts and cultural experiences. The city's extinct volcanic cones offer spectacular views of the Hauraki Gulf Islands, native forest ranges, twin harbours and sparkling cityscape. With three local wine regions, surf and harbour beaches, native bird sanctuaries, marine reserves and seaside regional parks, there's always something wonderful to do or see here. From Auckland you can easily extend your holiday to the rest of New Zealand. We offer non-stop flights to 15 provincial cities and one-stop connections to most other destinations. Air New Zealand operates non-stop flights to Auckland from Fiji, Samoa, Tonga, Rarotonga, Tahiti, Niue, New Caledonia, Australia, Singapore, Bali, Japan, China, Hong Kong, Taipei, USA (including Honolulu), Canada and Argentina. We also offer direct flights from London via Los Angeles. Through our alliance partners, you can fly to Auckland from London via San Francisco, Singapore, Vancouver, Hong Kong and Taipei. Stepping ashore on the volcanic cone of Rangitoto Island is like landing on another planet and the hike to the crater summit is rewarded with spectacular 360° views. Experience the adventure and natural beauty of New Zealand's largest city. Idyllic island sanctuaries, forest parks, surf beaches and renowned wine regions are all within 40 minutes of a sophisticated harbour city centre that's dotted with grassy volcanic cones. Whether you're a well-seasoned foodie or simply enjoy exciting flavours, Auckland is sure to impress. From waterfront fine dining and bustling cafés to back-alley street food and boutique craft breweries, there's a world of local and international cuisine to explore. 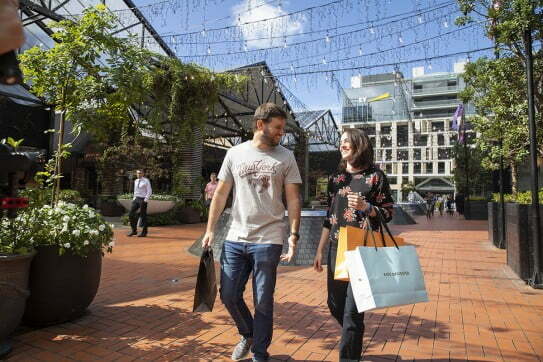 Head to Britomart, Princes Wharf, Viaduct Harbour, North Wharf or the Sky Tower for some of the best restaurants in Auckland with harbour views. Along Ponsonby Road you'll find boutique shops and a huge range of hip eateries and bars. Inner city suburbs like Parnell, Devonport, St Heliers, Mount Eden and Kingsland are always a good choice for restaurants, cafes and bars with a relaxed village vibe. With three distinct Auckland wine regions to choose between, you're never far from a great wine tasting experience and a delicious alfresco meal amidst the vines. Take a tour west to some of New Zealand's oldest winemakers, north to the country village and vineyards of Matakana or catch a fast ferry to Waiheke Island, home to more than 20 vineyards and wineries. Waiheke is the most popular, and populated, island in Auckland. It's loved for beautiful sandy beaches, vineyards, olive groves and an arty laid-back lifestyle. Waiheke is only 40 minutes by ferry from downtown Auckland, so many of the island's residents commute to and from the city each day. Auckland's vast Hauraki Gulf Maritime Park includes more than 50 islands and five marine reserves. Most of the islands are public conservation parks, perfect for day visits spent hiking or relaxing at a beach in the arms of nature. Rangitoto Island, an iconic volcanic cone, is the youngest of all. Stepping ashore here is like landing on another planet and hiking the lava-rock path to the crater summit is rewarded with spectacular 360° views. Tiritiri Matangi Island, aka Tiri, is a predator-free sanctuary for some of New Zealand's rarest bird species. Their populations have flourished here and birds fly close by, showing no fear of human visitors. Auckland Museum is a treasure trove of local and international cultural artefacts and the guardian of the world's largest collection of Maori taonga (treasures). Through a series of permanent and temporary exhibitions, the museum provides fascinating insights into New Zealand's past and our place in the world. Several times a day, a highly acclaimed Maori cultural performance takes visitors on a journey through the story of Auckland and New Zealand. 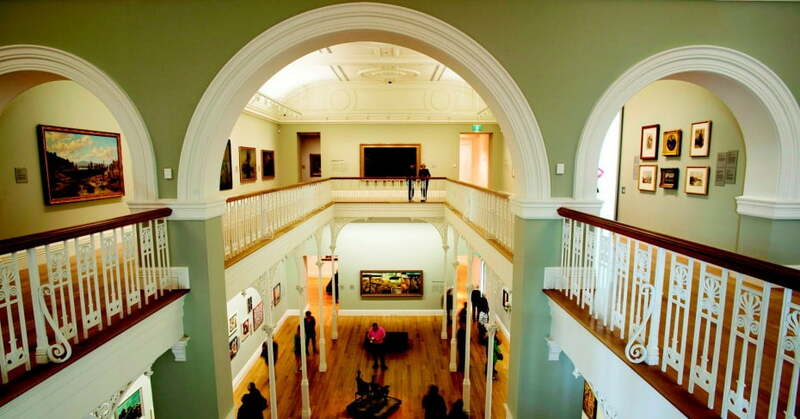 Just off Queen St, and alongside Albert Park, the Auckland Art Gallery is where you'll find 17,000 works, including major holdings of New Zealand historic, contemporary and modern art. Regularly changing exhibitions feature pieces from the gallery's collections and beyond. For outdoor art experiences check out the region's sculpture parks and trails, such as the whimsical Sculptureum in Matakana, about an hour north of downtown Auckland by car. With beautiful regional parks, park-like volcanic cones, black and white sand beaches, and the picturesque Waitemata Harbour, you'll want to get outside at every opportunity while you're in Auckland. Hike through native forest parks to waterfalls, clifftop lookouts and spectacular ocean beaches; join a tour of Auckland's inner city volcanic cones for long range views and insights into the region's unique geology and Maori history; catch a 10-minute ferry to historic Devonport and stroll the foreshore to climb North Head and explore its wartime tunnels; or walk up to the crater summit of Mount Eden to watch the sun set over the city and Waitakere Ranges. The iconic west coast black sand surf beaches, including Piha and Muriwai, are only 45 minutes from downtown Auckland by car. There are also inner-city beaches, like Takapuna and Mission Bay, for white sand, calm waters, cafes, bars and restaurants. Ninety minutes north of the CBD, Tawharanui Regional Park and Goat Island Marine Reserve are pristine places for coastal walks, bird watching, swimming, surfing, snorkelling and diving. If you like adventures that get your heart racing, you'll find plenty of fun things to do in Auckland. SkyWalk or SkyJump at the Auckland Sky Tower, bungy jump off the Auckland Harbour Bridge, kayak to Rangitoto Island, sail an America's Cup yacht on the harbour, zip line on Waiheke Island, go canyoning at Piha, ski all year round at Snowplanet or swim with sharks at Kelly Tarlton's. Never a dull moment, that's for sure! Walk to the crater summit of any Auckland volcanic cone for amazing views of the cityscape, sparkling harbours and gorgeous sunsets. 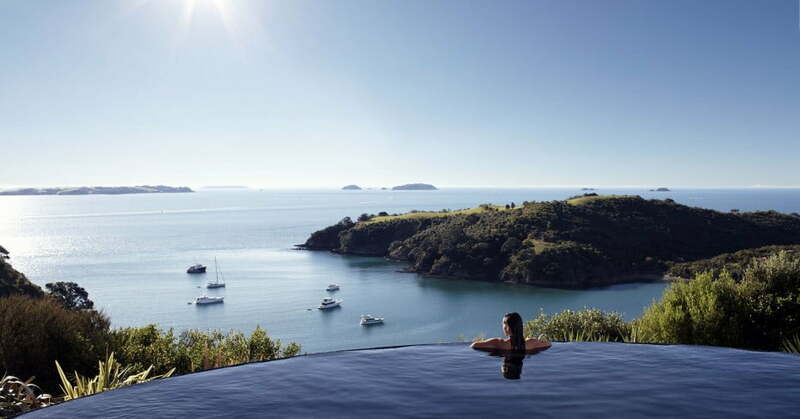 Each Hauraki Gulf Island offers unique experiences from bird sanctuaries, nature walks and volcanic landscapes to beaches, adventures and wineries. Sail, kayak, jet boat, go fishing or simply catch a ferry to get out on the water and find out why Auckland's such a sailing mecca. Catch some waves or stretch your legs along the west coast beaches, or enjoy golden sands and clear waters on the east coast. From fine dining to street eats, Auckland offers a huge range of local and international cuisines. With three local wine regions to choose from, there are some excellent guided vineyard tours and wine trails to investigate. The rich ethnic diversity of Auckland has created a fascinating history and a wealth of artistic and cultural experiences, which you can explore at museums, galleries and events. Climb the harbour bridge, jump off the Sky Tower, zipline through the forest or take a Harley Davidson motorbike tour. Go dolphin and whale watching on the Hauraki Gulf, snorkel or dive at Goat Island Marine Reserve, or head to Kelly Tarlton's SEA LIFE Aquarium. Follow the walking tracks in one of the many regional parks or hire a bike and hit the forest trails at a mountain bike park, like Woodhill. Many people choose to visit Auckland in summer and autumn, so if you prefer things less crowded come in winter or spring. The almost-subtropical city is New Zealand's warmest main centre and one of the sunniest, with warm humid summers and mild damp winters. Average highs range from 24°C in summer to 15°C in winter. The weather can be changeable, so pack a small umbrella or rain jacket. If you visiting Auckland from overseas you might need a visa to holiday in New Zealand, depending on where you're from and how long you're staying. See the visa-waiver list.